JUST ABOVE MINIMUM WAGE: For 19 years, Kristine Bartlett has worked as a caregiver at Riverleigh Rest Home in Lower Hutt, and is still paid only $14.46 an hour. OPINION: New Zealand women have a history of actively pursuing their rights. In 1893 New Zealand was the first self-governing country to give women the vote. One hundred and 20 years later a Lower Hutt rest-home worker is continuing the tradition, this time for equal pay. 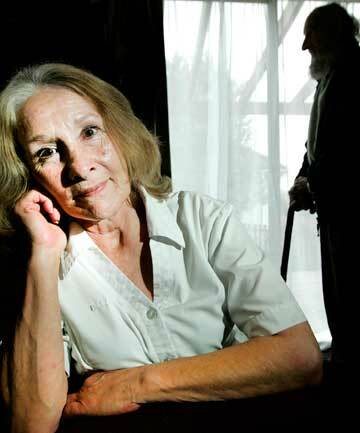 Kristine Bartlett has become the beacon of hope for low-paid women in the aged-care sector who are seeking to breathe life into the provisions of the Equal Pay Act 1972. Bartlett is a caregiver at Riverleigh Rest Home. Her employer, TerraNova Homes and Care, operates five such facilities throughout the country. She is very much a Wellingtonian, living in the Hutt Valley, and is a member of the Service and Food Workers Union. With 20 years’ experience in the aged-care industry, she is passionate about her work and has stayed in her job because of the satisfaction she gets from assisting elderly people in their day-to-day living. Her most recent pay increase put her up to $14.46 an hour, a nominal 10 cent an hour pay rise. The Service and Food Workers Union has taken Bartlett’s case to the Employment Court. The union’s core argument is that the $14.46 an hour Bartlett is paid is less than would be paid to male employees with the same or substantially similar skills as an aged-care worker. The aged-care sector is made up of predominantly female workers, with one estimate being that they make up 92 per cent. It has traditionally been regarded as “women’s work”. A Human Rights Commission report submitted at the hearing said this sort of female dominated care work is underpaid and an “injustice grounded in historical undervaluation of the role”. The Employment Court delivered a very thorough and well-reasoned decision. It made two key findings. The first was that the pay rate of Bartlett and her colleagues should correctly be compared to the pay rate of men with the same skills in other industries. The second was that the court was allowed to intervene and set a fair pay rate when pay equality of remuneration is lacking. Where you have mainly women working in a workplace such as Kristine Bartlett’s and you have also a handful of men on the same pay rate, then does that mean that equal pay is being paid? The court held that the correct comparison was with men in other industries whose skills were the same or substantially similar. Effectively, the court said that the tiny number of men in the aged-care industry were also poorly paid and were also being penalised for doing “women’s work”. The finding of the court is extremely significant. It means that any industry in which the majority of workers are female will be able to use the Equal Pay Act to compare their wages with those in a male-dominated industry with similar skills and to use this as leverage for negotiating a pay rise. Early childhood teachers, primary school teachers and nurses are obvious examples of female-dominated industries. The second part of the decision stated that the court can guide negotiations and state the principles of equal pay. Indeed the court went further, and said that it can simply decide the correct pay rate. We have not seen the Employment Court or its precursors have the power to impose a pay rate in a collective employment agreement for many years. Of course under the industrial conciliation and arbitration system which was in force in New Zealand years ago, that is what the court did all the time. Wellington has had two or three significant earthquakes over the past couple of months. The Employment Court, with its decision in this landmark test case, has equally shaken up the employment law landscape. It has clarified where the goalposts are. Traditionally they were to make sure that men and women in the same job got the same pay. The court has made it clear that the test is now equal pay for equal value. This creative litigation by the Service and Food Workers Union is likely to see female workers receiving the most significant across the board pay rise that they have received in their working lives. No doubt this industry is significantly government-funded and it seems likely that the government and the taxpayer will be asked to make up the shortfall. Whatever the outcome, Kristine Bartlett has achieved recognition for becoming the latest flag-bearer for equal pay and women’s rights in New Zealand. Her next challenge will be to find the men with similar skills to her. A second court hearing will look at the comparison and, if necessary, correct the wage rate of Bartlett and her colleagues. – Peter Cullen is a partner at Cullen – the Employment Law Firm, and may be contacted at peter@cullenlaw.co.nz. 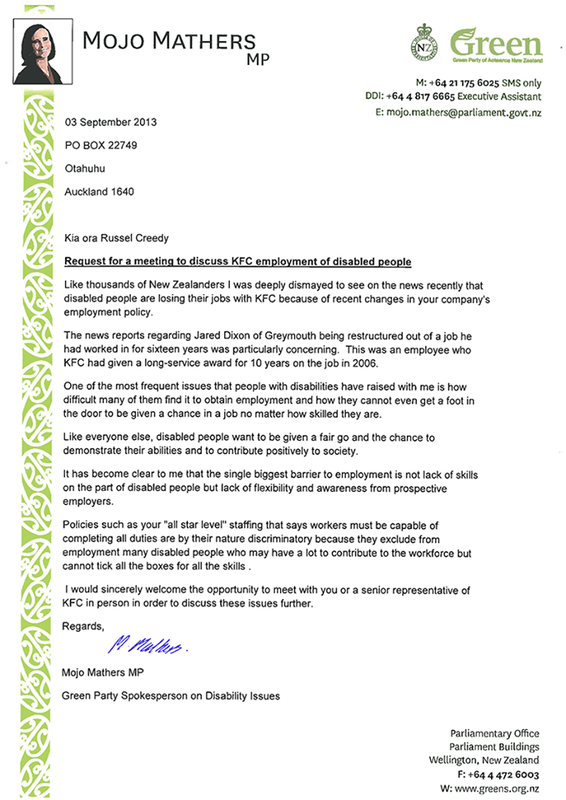 The following letter was written by Unite National Director Mike Treen to the Human Rights Commission to seek their assistance in dealing with what the union considers illegal discrimination against workers with disabilities. KFC has over the years hired some people with disabilities to do a limited range of duties and the hiring has been done through a range of local managers and support groups. Sometime in late 2012 it seems the company made a decision that it no longer wanted to employ these people, on the grounds that they are not versatile enough to be employed – and because the arrangements had been made on an ad hoc basis by local managers. Unite Union first became aware of it when a restructure process affecting two stores in the Hutt Valley that were being merged in September 2012 resulted in the workers with disabilities being the only staff made redundant. They were not told that this was a criteria when the process began. We only realised what had happened after the fact. When union members have been affected we have tried to represent them and get some compensation. These processes are usually confidential so we can’t talk about the individual cases. But we were so concerned at what appeared to be an unlawful systematic process of removing all staff with disabilities that we wrote to the company in February this year with an urgent request that they stop the so-called restructures. We argued that they appeared to be completely illegal. I said that the argument being used by the company to justify these dismissals weren’t valid. The company was claiming that it had adopted a policy that “all” workers had to be able to do Front of House and Back of House duties to what is called All Star level. But this is simply not true. A large number of workers at KFC are not “All Star” qualified. Many workers specialise in preferred roles. And anyway they can’t introduce a new policy like this without without proper consultation – including with the union. I also argued that even if the company adopted such a policy it would be unlawful as the only victims would be a group of workers with disabilities. Restaurant Brands is bound by the decisions of its agents to employ people with disabilities in the knowledge that they would not be able to do all the duties available in a KFC store. Some of these workers were initially employed with subsidies from WINZ and promises to move them on to permanent jobs. Creating a policy that has the intended effect of removing people with disabilities from stores appears to be discriminatory and a breach of the human rights act. After our letter in February we didn’t hear of the issue coming up again so thought that maybe the company had had a rethink. But it appears the company has continued and one of our members is now being restructured from their job in Te Awamutu along with another worker who isn’t a member. They haven’t changed their approach one bit. The “restructure” of the store is on exactly the same discriminatory demand that the workers with disabilities must be able to do every job in the store. We know of at least a dozen cases where this has happened in the Hutt, Greymouth, Birkenhead, Motueka, Oamaru, Papanui in Christchurch, the Alexandra store in central Otago and now Te Awamutu. I am not sure what is the best course of action and would like the advice of the Human Rights Commission. Our current role of trying to represent workers through what seems a pre-determined process and possibly getting compensation for individual members is not a solution. It does not address the root problem which is a company-wide policy. The company has refused our requests for information on when the policy started and how many workers have been affected. I believe the policy has to be stopped. If a major company can get away with it then workers with disabilities will have no chance to play a productive and valued role in the community. From our own experience the dismissals are even usually opposed by local management and crew at KFC. Companies like Restaurant Brands have to learn that they operate as part of the communities from which they make their money. A group of long-serving KFC workers are being forced out of their jobs during a restructure which a union claims is deliberately targeting workers with disabilities. The Unite Union says disabled workers have been let go in the past year because of a KFC policy for all staff to be capable of all duties. At least two more workers will discover their fate this week. Mike Treen, Unite’s national director of organising, said the first case appeared when two Hutt Valley stores merged last September – resulting in two disabled workers being made redundant. Treen believes stores in the Hutt, Greymouth, Motueka, Oamaru, Papanui in Christchurch, and Alexandra in central Otago have been similarly reorganised. Jared Dixon, who has autism, was restructured out of his job at KFC in Greymouth. He’d worked there for 16 years doing three hours a week – making the local newspaper in 2006 when the company presented him with a long-service award for 10 years on the job. Jared’s family believes he was never given a chance to show he could do the tasks. 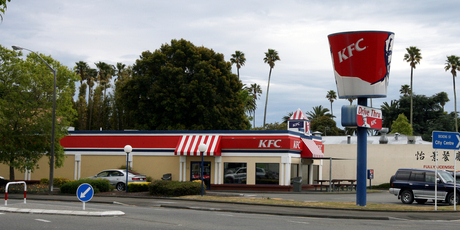 Douglas McRae loved his years at Park Ave KFC in Wellington. The 49-year-old, who has an intellectual disability, worked two hours a day packing the potato and gravy and cleaning. Douglas was excited when told the Park Ave store would merge with another at a new site in Lower Hutt. But his hopes of a transfer were soon dashed. Douglas believes the only other person affected was another worker with a disability from the other merging store. Caregivers Steve and Debbie Edwards said Douglas was always on time, never missed a day and was always willing to put in the extra hours. Debbie said Douglas was given only three days’ notice, after earlier being told he would be moving to the new building. The Labour Party is calling on the Human Rights Commission to investigate concerns that workers with disabilities are losing their jobs at KFC because of its restructuring policy. The Unite Union said disabled workers had been let go in the past year because of a KFC policy for all staff to be capable of all duties. Labour’s social development spokeswoman Jacinda Ardern said the Human Rights Commission should investigate the concerns about the fast food chain. “This catch-all policy is unfair and unjust. Social responsibility is a guiding principle for smart business globally. Restaurants in small towns rely on the engagement of their local communities. This one-size-fits-all approach won’t go down well with workers in Greymouth or Oamaru,” she said. 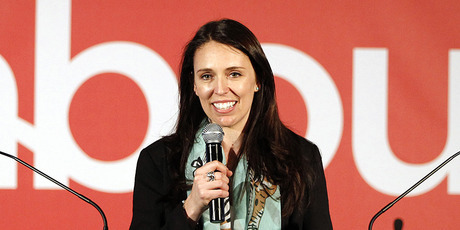 Jacinda Ardern at the 2012 Labour Party conference.